Noahcard Intelligent Technology Co., Ltd. is the world’s leading developer,manufacturer and supplier of Smart Card,Access Card,RFID transponders, tags and inlays, RFID anti-metal tags,RFID Jewelry Tags,RFID library tags,etc. As the world’s largest UHF RFID partner, we provide solutions for multiple industries, from retail apparel and food to healthcare and aviation. Our integrated global RFID approach is proven to increase inventory accuracy, improve supply chain agility and enhance visibility across all channels. 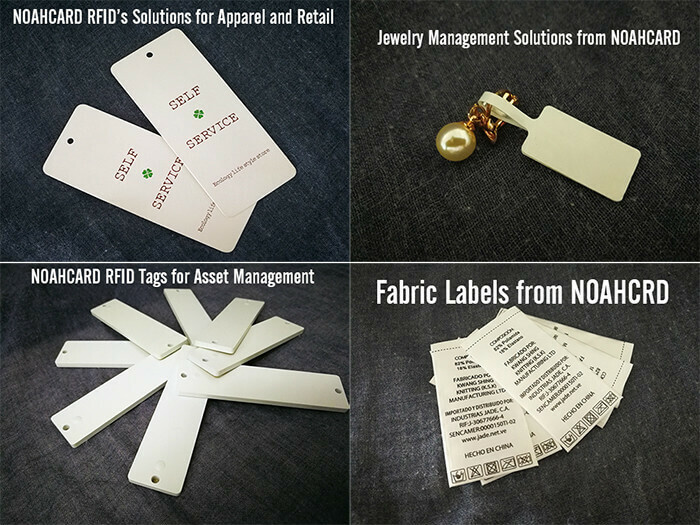 When you choose NOAHCARD RFID, you can get field-proven inlay products, advanced research and testing capabilities, experienced engineering and technical resources, and, most importantly, a partner with a deep understanding of what it takes to make your application successful. Sustainability is at the core of everything we do, from innovation and product design to development and production. With Noahcard RFID, you get the benefit of our relationships with best-in-class chip and reader manufacturers, label and tag converters and systems integrators across the globe. We can support you with the most challenging RFID projects across all channels, offering the total solution to meet your business needs. Copyright © 2010-2016 NOAHCARD, All Rights Reserved.